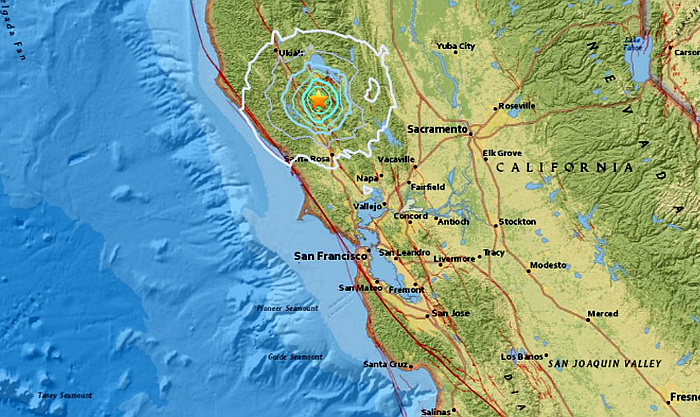 A 5.0-magnitude earthquake struck in Northern California on Wednesday morning. The quake occurred in The Geysers—about 10 miles from Cloverdale and about 75 miles from San Francisco. On Twitter, people reported feeling shaking around San Francisco and the Bay Area. It’s unclear if any damage was done. The U.S. Geological Survey confirmed the earthquake at 9:03 a.m. local time. The quake had a depth of 0.9 kilometers, or about 0.5 miles, the USGS added. Further details on the earthquake are available on the USGS event page.